Unawatuna offers you a warm, relaxed and informal dining experience in a Sri Lankan inspired environment in the heart of St Helier. Open Tuesday - Saturday from 5.00pm - 9.30 pm (open later at weekends). If you would like to arrange a private party outside of our normal hours please contact us and we can discuss different options. 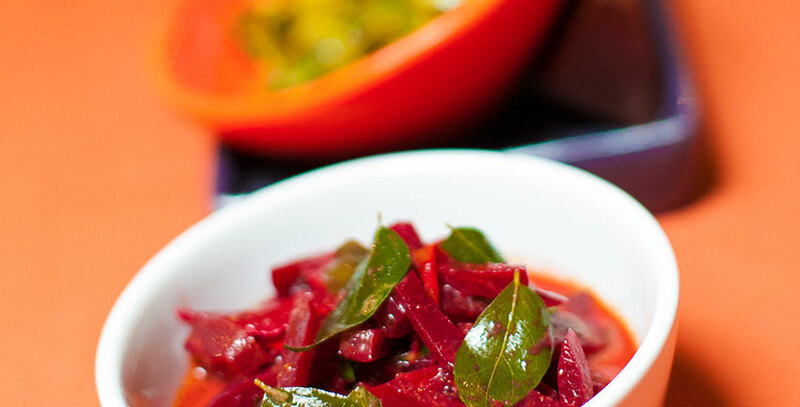 Sudu brings a slice of Sri Lanka, and the cuisine he loves, to foodies around the island. Armed with his mother's hand blended curry powers, Sudu's authentic recipies combine local Jersey produce with Sri Lankan specialities. Ask what is on the specials menu today, as Sudu is trying to introduce many of the dishes he experienced as a child back in Sri Lanka. These dishes are perfect for vegetarians and meat eaters alike. We enjoyed a delicious meal on Saturday. Unawatuna was buzzing!!!! Great decor. Well done Sudu. We'll be back soon! Really impressed with the food from Unawatuna last night. Fabulous lunch today! Delicious authentic Sri Lankan cuisine and great value too.